We have stocked up the finest Pigment Blue 25, which we formulate in accordance with the standards. 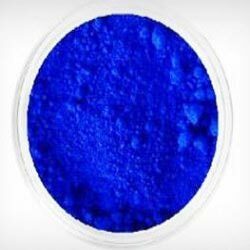 We are standing amid the notable Manufacturers, Exporters, and Suppliers of Pigment Blue 25 from Gujarat, India. We are a quality-endorsed organization, which emphasizes on ascertaining the pigment’s stability. Plus, its physical and chemical properties are just the way they have to be. Buy it modest prices from us!